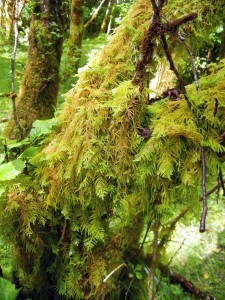 Mosses in the Class Bryopsida are commonly known as the “joint-toothed” or “arthrodontous” mosses. The Bryopsids display an diverse assortment of species. The gametophytic generation demonstrates many commonalities, however there is considerable variety. Gametophores arise from extensive and uniseriate protonema. A gametophore may be diocous or monocious, acrocarpous or pleurocarpous, highly branched, and with variable sized plants. Macroscopically, the leaves are sessile and spirally arranged in more than three rows. Further characterization of leaves includes a unistratose lamina that generally lacks lamellae and has elongate cells with numerous chloroplasts. Leaves usually contain a costa, that may or may not be mutlistratose with conducting cells. The stem lacks a leptome, thus may not contain a well developed conducting system. The rhizoids of Bryopsids are uniseriate, multicellular with oblique crosswalls when mature, and arise from epidermal cells of stems and leaves. Asexual gemmae arise from rhizoids or the gametophore, depending on the species. Sexual reproductive structures (archegonium and antheridium) are associated with sterile paraphyses. The calyptra is usually smooth and at the apex of the mature sporangium. 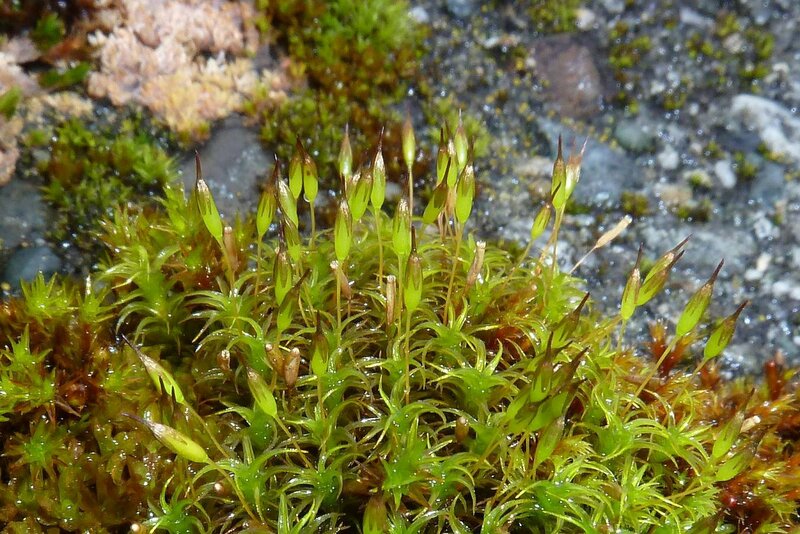 The sporophytic generation aids in further classification of the Bryopsids. The seta is commonly rigid, long, and persistent with a cuticle and well-developed conducting system. 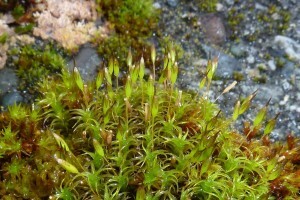 The sporagium develops after elongation of the seta. The sporangial jacket often contains stomata. Dehiscence of spores occurs via release of the operculum. Release of the operculum can be aided by a hygroscopically unravelling annulus. Once the operculum is released, the underlying peristome teeth are revealed. The teeth contain an endostome and an exostome, and the teeth are composed of cell fragments, giving the class its common name. The spores are unicellular, produced in synchrony, and surround the columella.